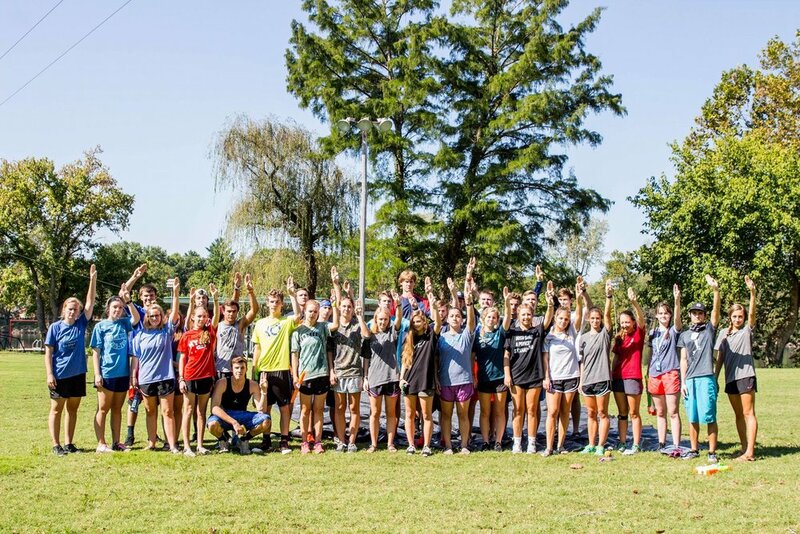 Kanakuk Link Year | Discover Your Purpose - Thank Goodness It's Friday! At Link Year, we work hard both in and out of the classroom from Monday to Thursday. Whether it be listening to amazing professors, writing papers, or digging deep in discipleship, those first four days of the week are packed to the brim with responsibilities. So what about Friday? Here at Link Year, we like to set Fridays aside to get the students outside of the classroom, surprise them with an activity that they have never experienced before, and allow them to unwind from a busy week! We call this day TGIF -- Thank Goodness It's Friday! TGIF days are top secret, and our students never know what to expect until each Friday morning when it is announced. One thing students DO know is that the day is going to be full of unbelievable fun, exciting adventure, and life-changing memories. In fact, TGIFs often become some of our student's favorite memories of Link Year! For the class of 2017 here in Branson, second semester is well on its way -- but let's take a quick look back at some of the best TGIF days from first semester! We started off the year with a battle on the lower fields between the "tributes" of Link Year. The object of the game: stay dry. If you got hit with one of the various water guns, slingshots, grenades, or balloons available for use, you were out! Eventually, only one tribute was left standing, and a new Katniss Everdeen was awarded! Not everyone has what it takes to enter into a paintball arena, much less one like this. We traveled to Ozark, Missouri -- home to one of the coolest paintball courses ever. If you've ever wondered what it might feel like to be a Navy Seal in enemy territory, this experience helps give you an idea! Complete with underground tunnels, bridges, and bunkers, this felt like the real deal. Though we might have walked away with more than a few bruises, it still ranks as one of the favorites when it comes to Friday fun! If the paintball TGIF isn't your favorite, then this one is for sure! Archery Tag is a game that originated at Kanakuk Kamps. The game includes running, dodging, tagging, and trying to get the other team out. Think dodgeball, but instead of being armed with a squishy rubber ball, your weapon is a bow and arrow with a huge marshmallow shaped pad on the end. All you have to do is take aim and fire! Ever wondered what life on the big stage is like? Well the lip sync battle is perfect for you. Grab a group of friends, or go solo and preform your favorite song in front of the "celebrity" judges! This TGIF never fails to disappoint, and there isn't ever a dry eye in the room (from laughter, of course), If you think you've got star power, then you'll love to go head-to-head in a lip sync battle! Each one of us has a little bit of an adventurous heart, and this TGIF brought the adventure out in all of us! Fritz's Adventure is a brand new attraction in the heart of Branson that specializes in high ropes activities, rock climbing, and more! We were lucky enough to get a private, behind-the-scenes experience at what is no doubt one of the coolest places in the Branson area!